Ode to modernity, ode to creativity, ode to fabulous food. 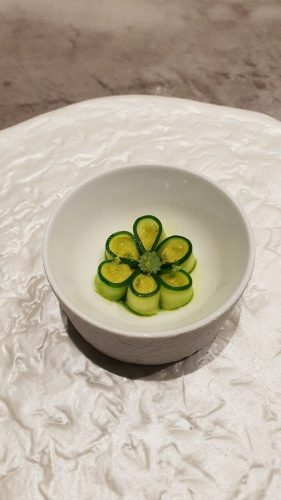 That’s how I would sum up Ode restaurant in Tokyo. 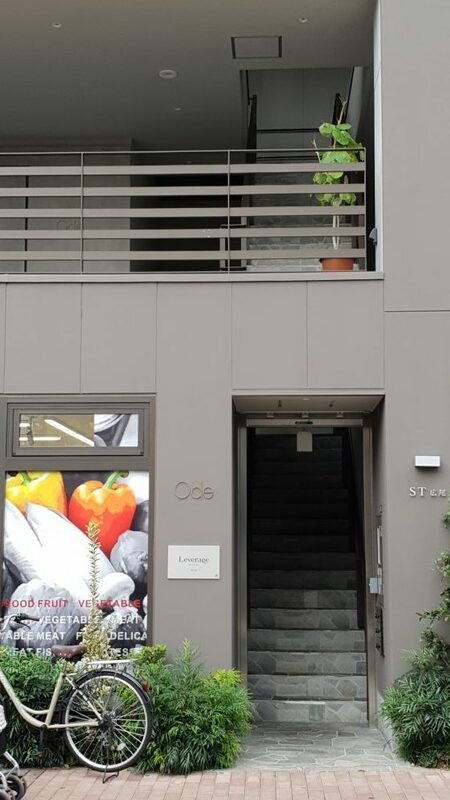 Located in the lovely residential neighbourhood of Hiroo, which has more than its fair share of cool cafes and shops, it was a pleasant stroll around the area before settling down to lunch at Ode. With GPS, never fear. Not even in Tokyo which is notorious for hiding its best restaurants. The entrance to Ode already sets the tone to the setting inside. All grey, muted with stylish metallic accents here and there, still, there is a clever use of wooden furnishing and décor to bring some warmth to the place. 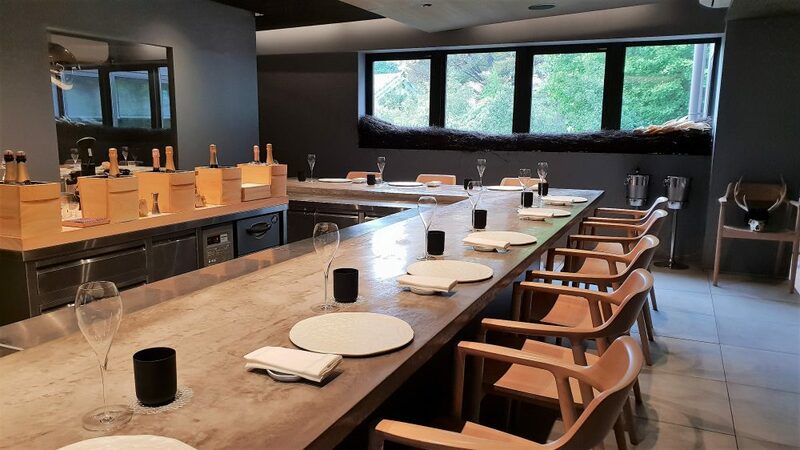 There are 13 seats by the counter and we sat down, ordered our bubbly (decided against wine pairing on account of having had one the night before at awesome Shirosaka, plus it was lunch and we were not up to many glasses) and prepped ourselves to be amazed. After all, Ode was recommended by a well-known foodie friend in Tokyo, so expectations were high. It’s definitely not a raucous scene, the staff and chef are polite but reserved. Chef Owner Yusuke Namai came out to greet us and when he found out that we were from Singapore, he spent some time chatting with us, and that reminds me, I am supposed to be sending him an email with tips on where to eat when he comes to Singapore in 2019! 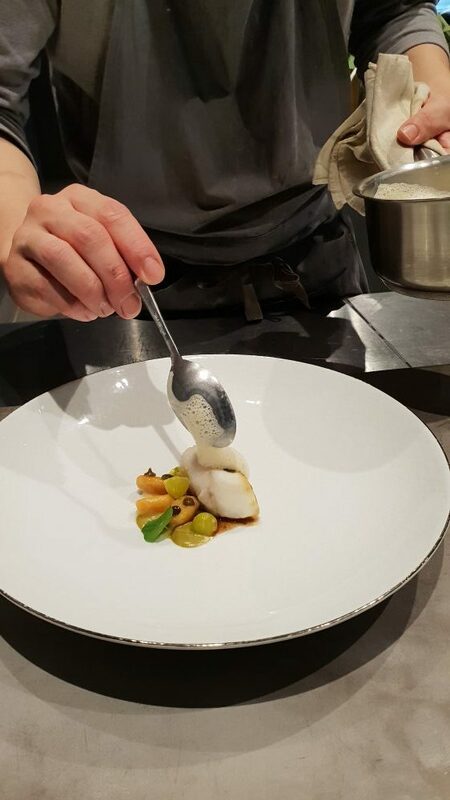 The other chefs under him politely explain each dish when they place it in front of us. They were very helpful with googling the English names of certain dishes when we had no idea what they were in Japanese. 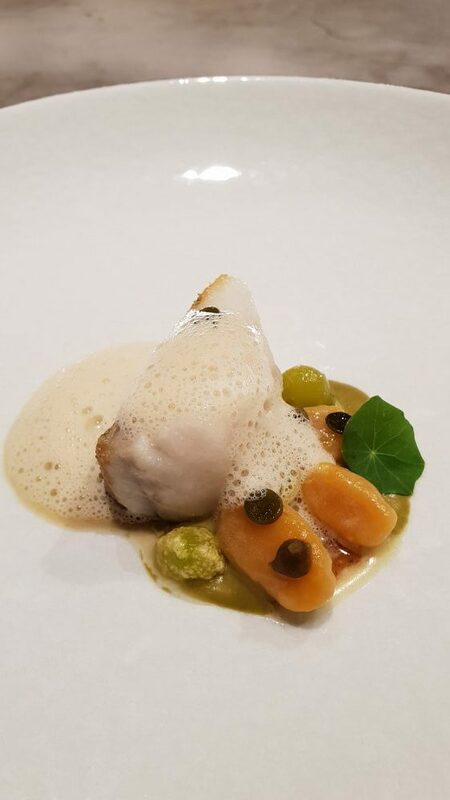 To simply classify the cuisine here, I guess I would say innovative, modern French with Japanese and Asian ingredients thrown in. But not just that, really. I mean, when was the last time you had a meringue made out of fish innards? So here is the run down, sorry if it appears skimpy in parts, but as I said, I was just too focused on enjoying everything that I couldn’t be bothered to take copious notes. The magic potion with which we ate our first appetizer below. 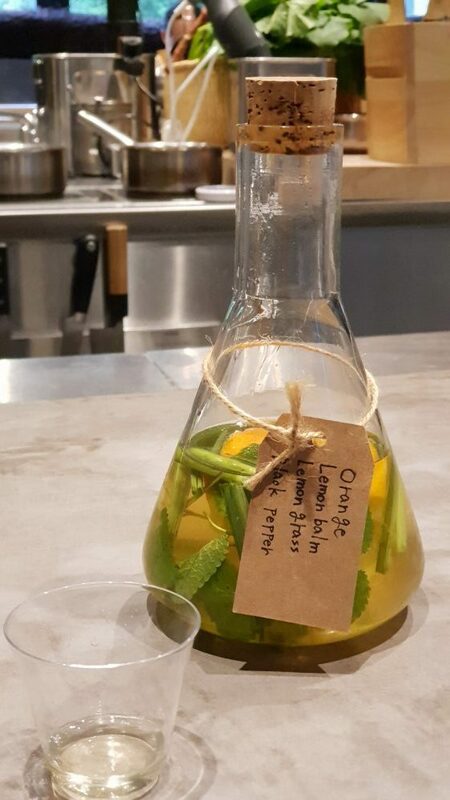 Zesty and perfumed, I wished they had left the whole bottle with us! A little amuse bouche to start the meal with. 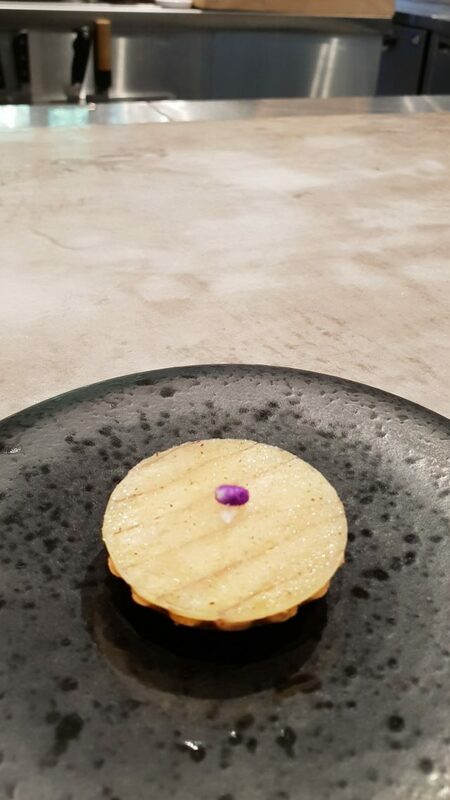 It arrived in a jewellery case, and I assure you, every time the chef opened up the box to reveal the little ball within, there were sighs of “kawaii” that ring through the room! 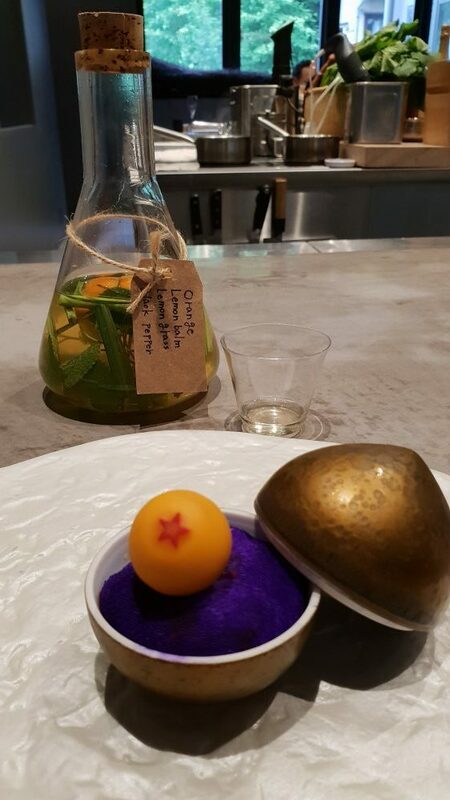 This Dragon Ball is inspired by the chef’s favourite manga series. Pretty and tasty. Cucumber with bottarga. 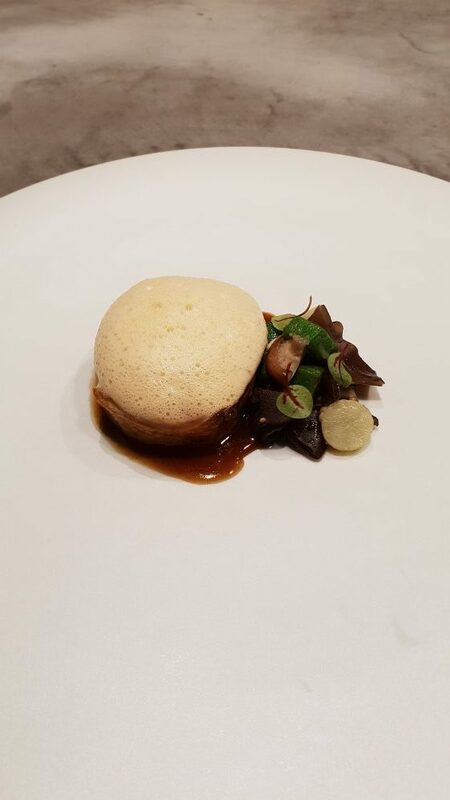 Ode’s signature dish is truly one to be marvelled at. 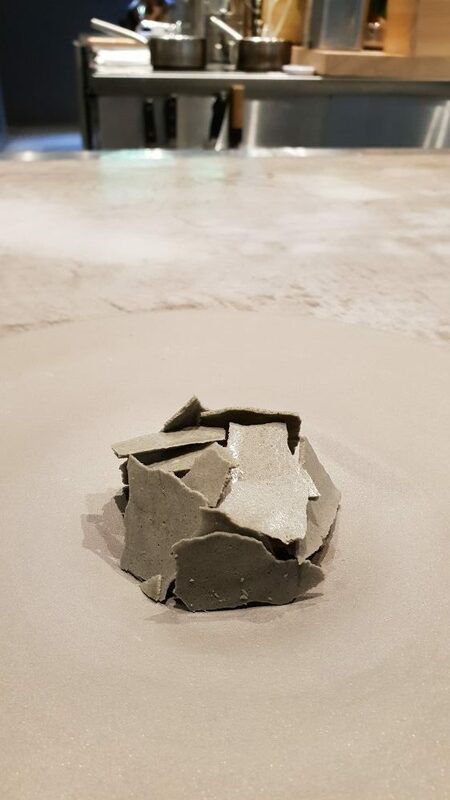 The grey shards are unlike any meringue one is likely to have tried. They are made from fish offcuts (read: innards) I could bag them up and eat them the whole day. 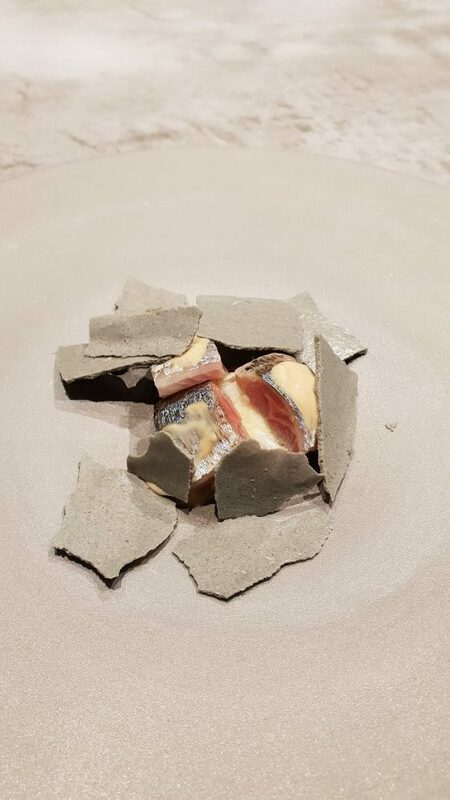 The shards hide the Pacific saury confit. Standout dish. 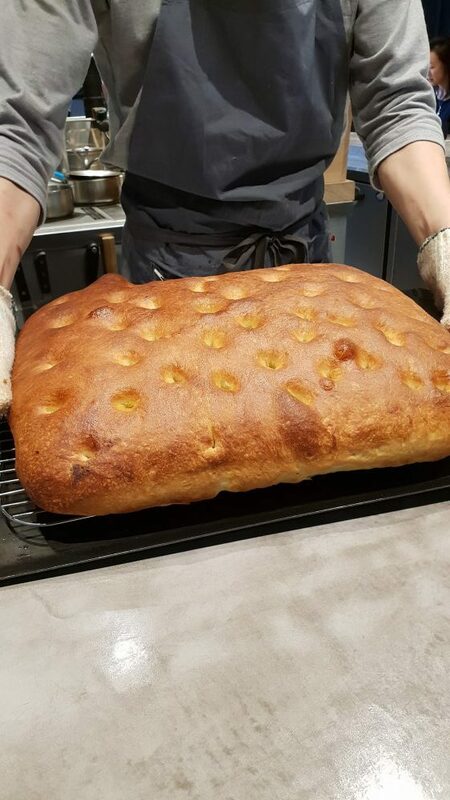 I’d recommend accepting the offer of more and more freshly baked bread! 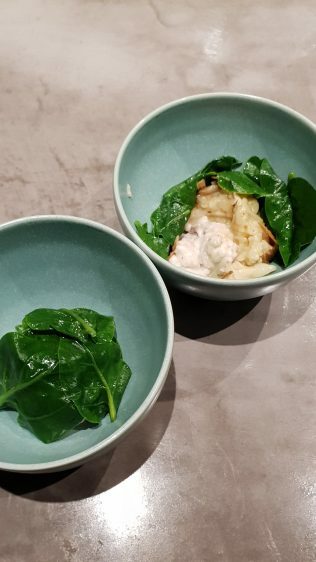 Lift the Malabar spinach lid to reveal soft roe. Toasty and reminded me of popcorn. And finally, mignardise. 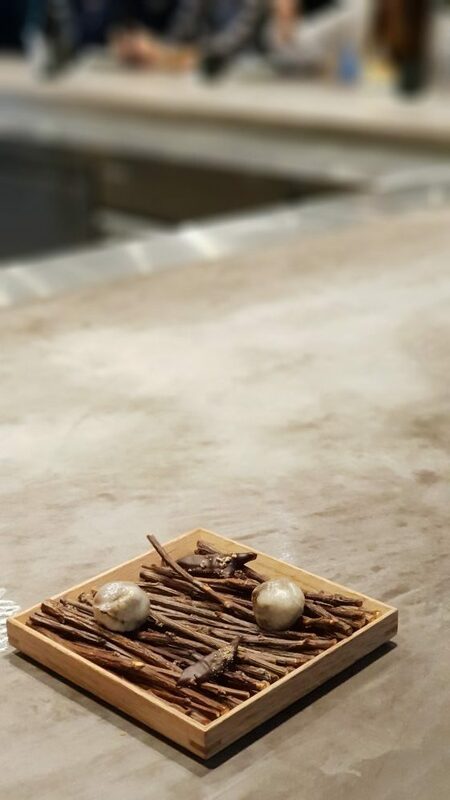 We were reminded that the twigs were not chocolate sticks to be eaten with the two mochi balls! 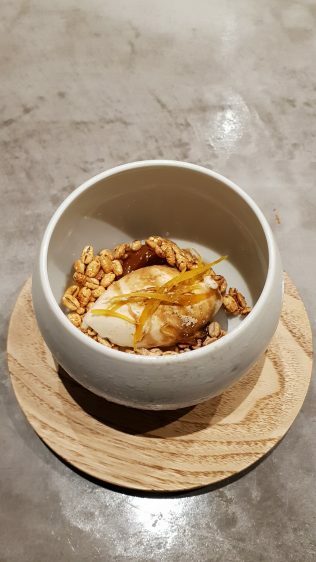 Again, because my Tokyo foodie friend is very much in the know, he was able to dissuade me from trying other more well-known (and more expensive) options and suggested places that were great but didn’t cost a bomb. Lunch at Ode is at ¥6000 for 7 courses (S$70) and dinner at ¥14000 (S$170) for a 11-course meal. Again, I had recommended Ode to a fierce food critic friend of mine who was visiting Tokyo and she was happy as well. So, yes, make the booking (especially for the reasonable lunch plan) if you’re headed to Tokyo!